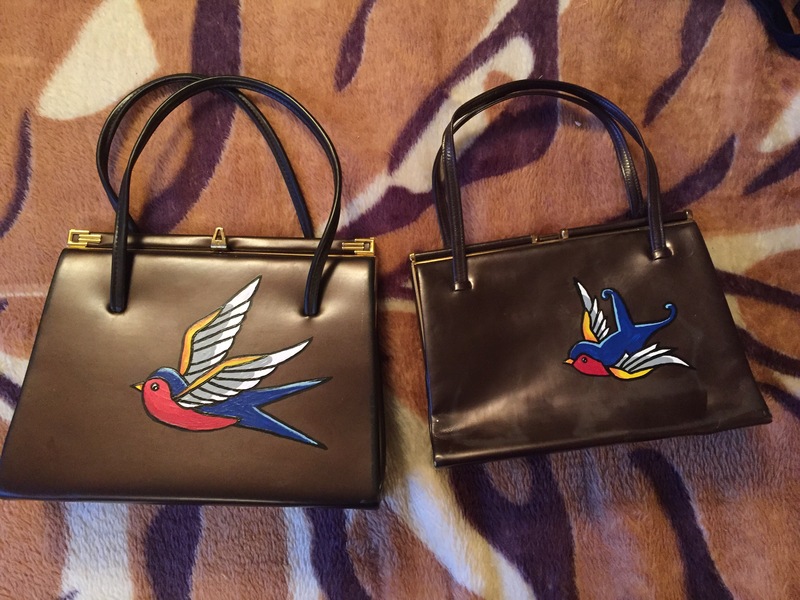 We have just finished our first collection of hand painted bags and are absolutely delighted with them all. 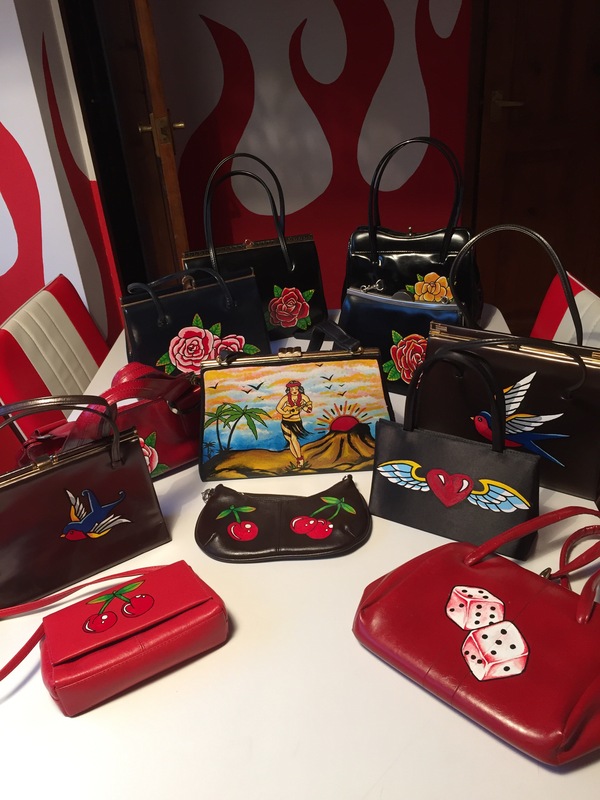 Most of them are true vintage but in absolutely fabulous condition and with the hand painted tattoo themed art we think they are beautiful bags which you will be proud of for decades. A Xmas present for someone special … or just spoil yourself!